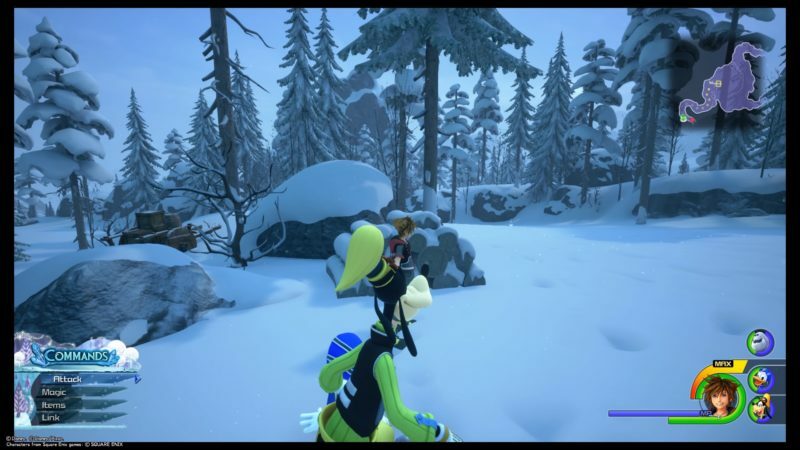 Arendelle is the sixth world that you can go to in Kingdom Hearts 3. It’s also the world of Frozen where Elsa, Anna and Olaf lives. There are eleven lucky emblems in total in Arendelle. 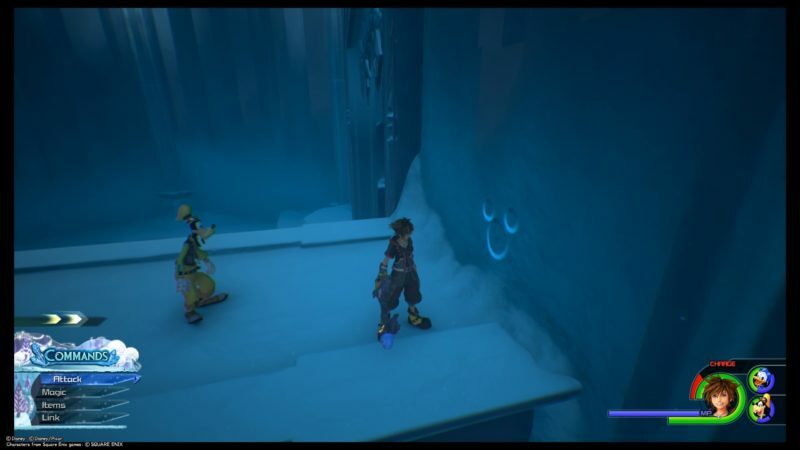 Here are all of the lucky emblem locations in Arendelle in KH3. There are 11 emblems to look out for. The first one can be found relatively early. After you climbed up a wall and reached an area called the Gorge, there will be 2 pathways. Go to the one on the right. Jump down the ledge. You will find a treasure chest there. 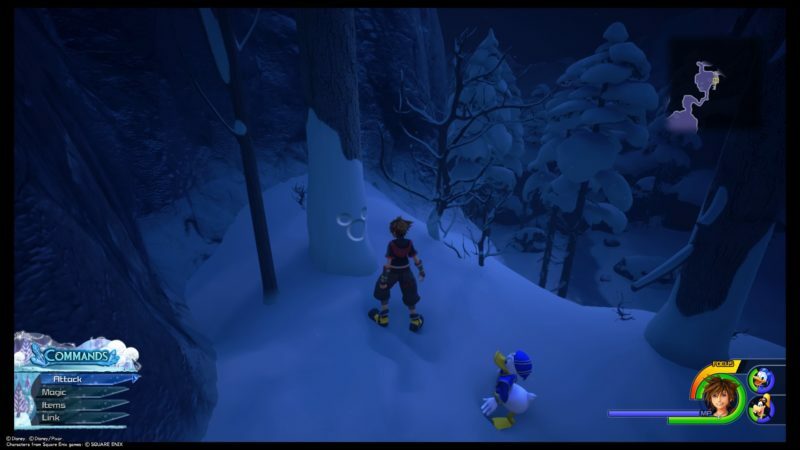 Go towards the trees and you should find the lucky emblem towards the edge. 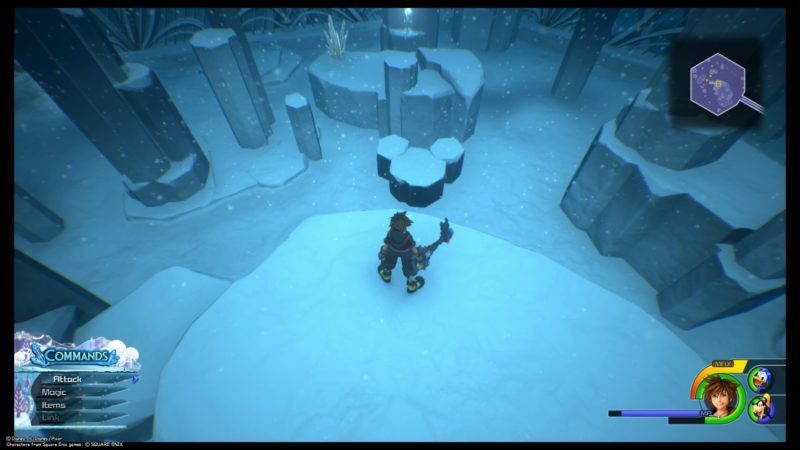 Inside the labyrinth, you should come across a frozen wall made up of plants quite early on. Destroy the wall and it opens up a pathway. You will see some Heartless inside. Get to the higher level walkway / bridge and the lucky emblem is on the wall. The third one is also in the labyrinth. It’s near the save point of the lower tier area in the labyrinth. The fourth one is still inside the labyrinth. At one of the higher floors, you should come across this bridge with sharp-pointed rails. It leads to some slides. Just beside the bridge is the lucky emblem. At the highest floor in the labyrinth after you take a “lift”, you will see three different pathways (equal distance from each other). One of the pathways leads to this room. You have to climb on the platform to take a photo of the lucky emblem. 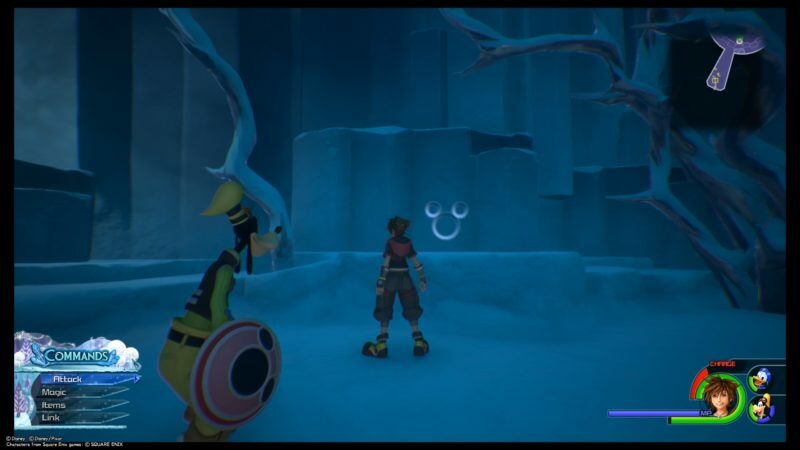 On the way to finding Elsa at the palace, you will stumble upon this lucky emblem staring right at you. 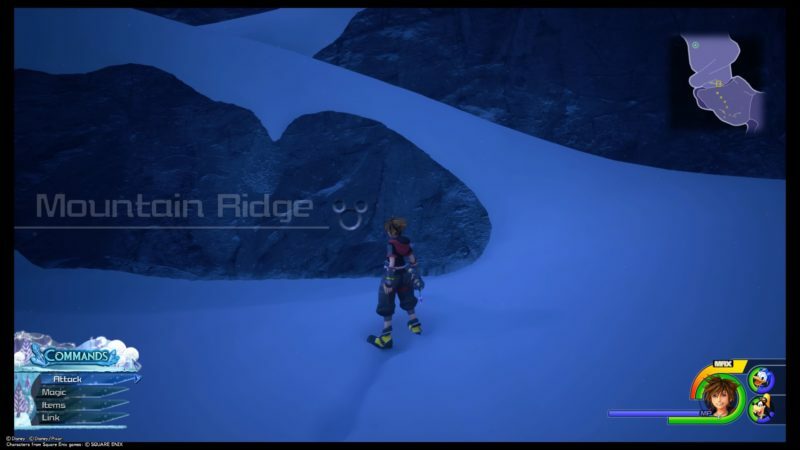 It’s also when the words Mountain Ridge appears on the screen. 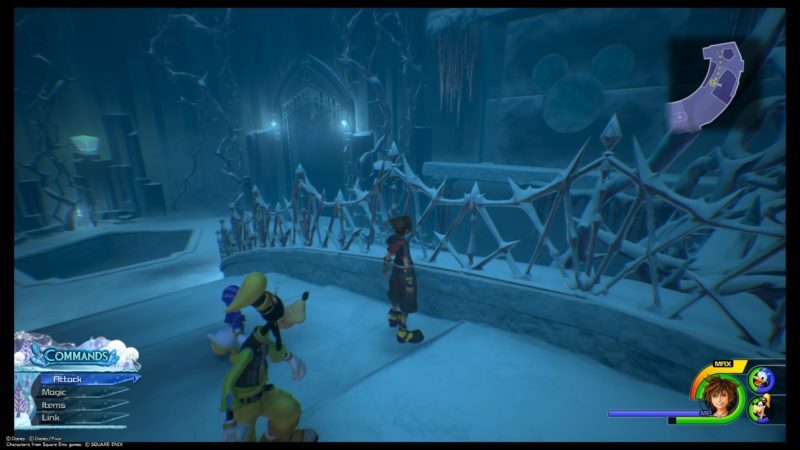 Another way to get there after the story is by using the save point in front of the ice palace. Get down the ledges a couple of times and you will find it. If you’re coming from the save point at the palace, go back to the frozen walls. Walk down the pathway and you’ll meet plenty of enemies on the way down. After some time, you should see a climbable wall on your right. 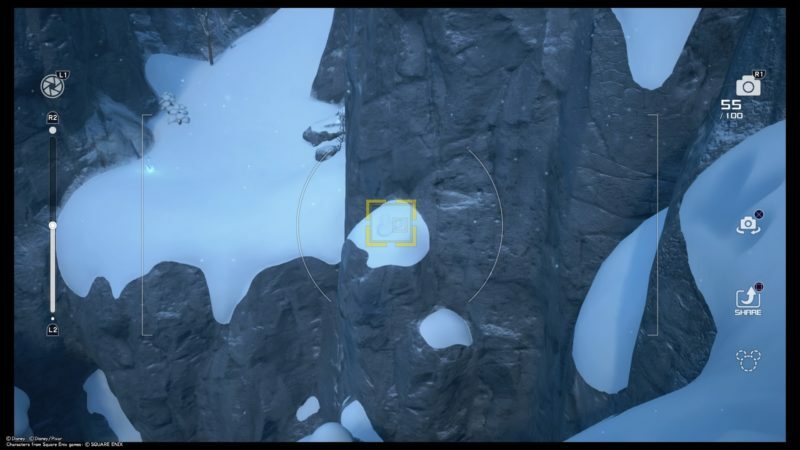 You need to get up the wall and jump down into a slope towards the left side. You should see the lucky emblem made out of snow. Since you know where the frozen walls are, just get to the back of one of them. It’s behind the pointy icicles. 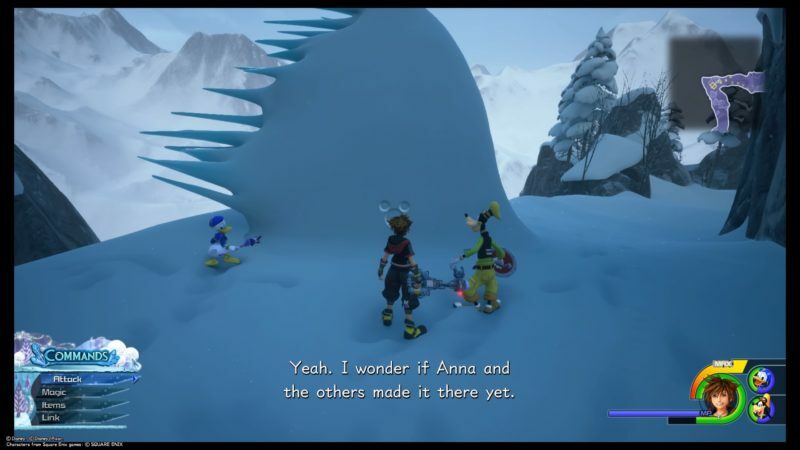 After falling down from the mountain the second time due to the snow monster, you should appear at Snowfield after the cutscene. Follow the path, go down the slope and climb the wall on the other side. You should see the lucky emblem if you look downwards. 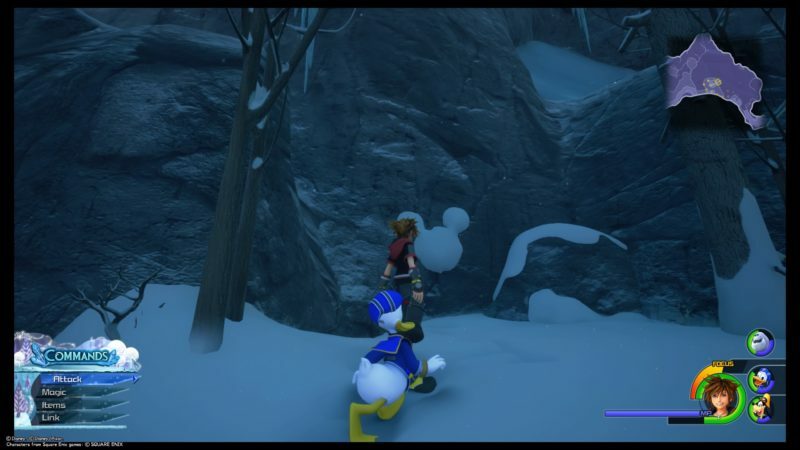 In the same map where you teamed up with the snow monster (who belongs to Elsa), you can find a lucky emblem made out of tree logs. There’s also a save point nearby. 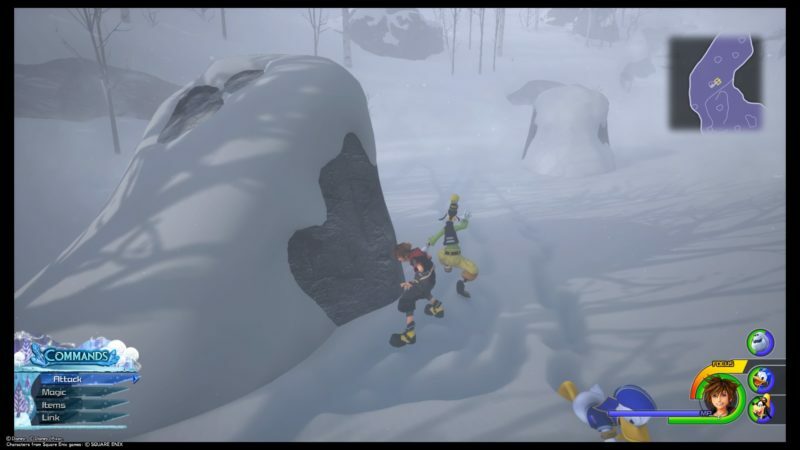 There’ll be a part in the story where you have to take shelter from the snow storm. The lucky emblem is hidden behind one of those shelters. You can’t take a photo during the storm, so you may have to go there after the story ends. And that’s all for the lucky emblems in Arendelle. Hopefully it’s useful for you guys.